We offer 2 different Glassy Birthday party experiences! This fun-filled afternoon is 4 hours long and included a glassblowing demonstration and fusing fun. 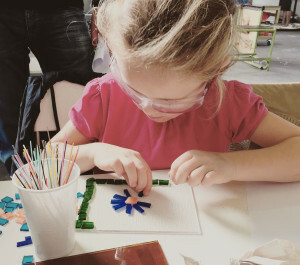 The kids will be guided to design a sculpture together that the glassblowers will make for the birthday girl or boy! Then each guest will make his or her own fused glass project, guided by a professional artist. This package is 2 hours of fusing fun! 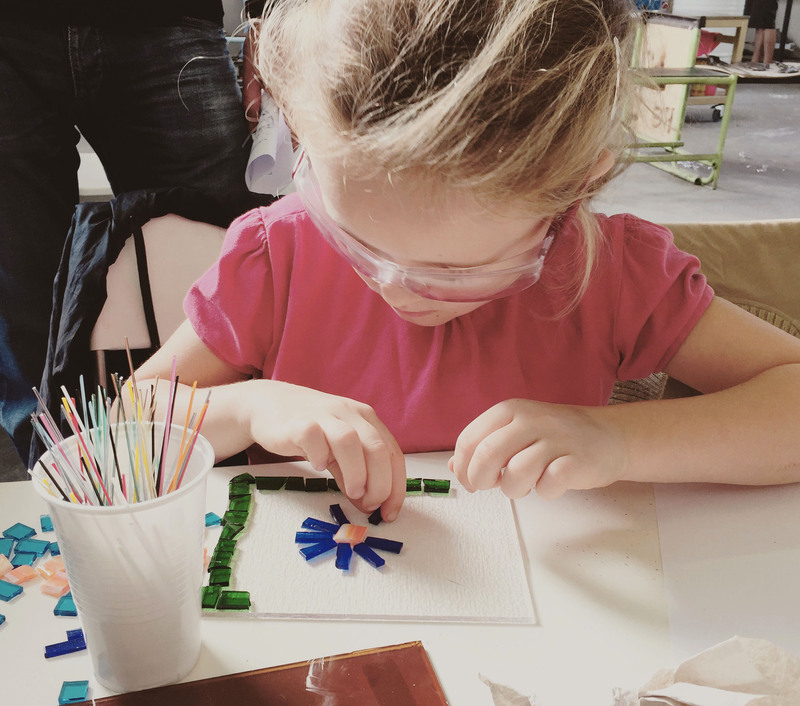 Each guest will make his or her own fused glass project, guided by a professional artist. Party projects will be fired and ready to pick-up in one week. We love to sing and we have loads of music, but you are welcome to bring your own playlist of songs. Please bring your own food and beverages, candles and cake.